One of the most exciting aspects of metal detecting is discovering relics that give us clues about life in another era. You can find treasures hidden all over the world from ancient times and these items are not just historically important, but they are also highly valuable. Whether you are looking for ancient jewelry from the Civil War or relics from Native Americans, there is a whole world of treasure just waiting to be discovered with your metal detector. In this article, we’ll look at the best places to search and discover these incredible relics, as well as which specific metal detector models are best for this unique kind of treasure hunt. Before we get started, please take a moment to view our interactive table below. Inside you’ll be able to compare a variety of good metal detectors that are ideal for relic hunting, and you can compare them against one another based on things like price and weight. When you are searching for relics with a metal detector, there are endless places you can look. You might even find some treasures hiding beneath the surface in your own back yard! If you are interested in historical finds, you might want to visit old abandoned houses, historic sites, or old battlefields. Just make sure you check for any rules and obtain proper permission or permits if you are going to search on private property. 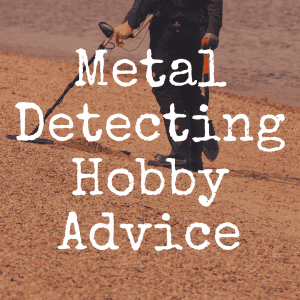 What Kind of Metal Detector Should You Use? Quality metal detectors are crucial when you are hunting for relics. In most cases, relics are found in hard ground that is heavily mineralized, so you will need a top of the line metal detector if you want to be successful in your search. You should look for metal detectors that offer a ground balance control and a ground adjust so you can filter out interference that comes from the natural minerals hiding in the ground. This will save you a lot of time and needless digging. Most historical relics are made from steel, brass, and iron. That means you will need to operate at a lower frequency in order to identify them because of the lower conductivity. The top metal detector for relics should have low frequencies and excellent pinpointing controls so you can quickly focus in on the exact area where you need to dig. There are endless options when you are shopping for metal detectors, but quality is key when you plan to hunt for relics. 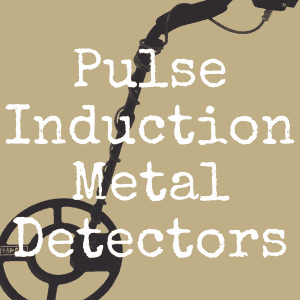 Here are the top five metal detectors that will be a good choice for your next big search. Tesoro has a great reputation for their quality metal detectors and the Vaquero is one of the best options they offer, especially for relic hunting. Vaquero is Spanish for “cowboy” and this is truly a hard working, “Wild West”-like metal detector that can handle even the toughest searches. This detector allows you to manually adjust the ground balance, so you have the power to change the settings to accommodate for varied levels of mineralization. It also has an ED 120 discrimination setting that will filter out the trash so you can zoom in on treasure and avoid wasting time on bottle caps or other junk hiding beneath the surface. Best of all, it has a push button pinpoint that helps you really hone in on the exact location of the relic before you start digging. This top of the line metal detector is strong enough to help you discover ancient coins, jewelry, and relics in even the toughest dirt. It offers both visual and audio target identification so you never miss an important find. Plus you have an expanded depth reading and everything is easy to see on the extra large LCD display. 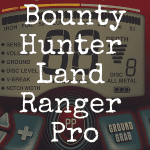 The Bounty Hunter Platinum is a good choice for hunting relics because you can adjust the ground balance according to your current conditions. It’s lightweight, comfortable to hold, and pretty easy to use too! If you want a professional metal detector that can really get the job done, look no further than the Fisher F5. 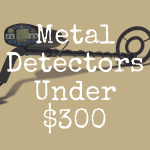 This is one of the best metal detectors available for relic hunting and it’s intuitive, comfortable to use, and a steal at only around $500. It offers multiple search modes to help you narrow your search. You can set the detector to hunt in All-Metal mode or Junk Discrimination mode. There is a large visual display to give you the best target depth identification so digging is easier and you don’t waste time in the wrong area. The Tesoro Cortes is a little more expensive at around $700, but it’s worth the extra money. You get a nice LCD display to making hunting easier. It has excellent depth perception and target discrimination to make finding relics a lot simpler. 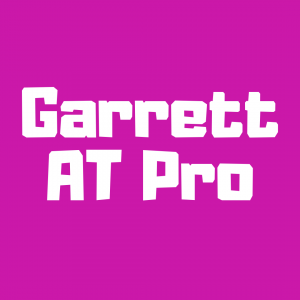 The best thing about the Cortes is that it’s extremely lightweight at under three pounds. This is very helpful when you need to carry the detector for long distances as you search for buried relics. The XP Deus metal detector is one of a kind with the first ever wireless technology. With improved signal acquisition, audio headphones, ground control, and excellent target discrimination, you are sure to find an amazing relic with this metal detector! What Kind of Relics Can You Find? There is really no end to the kind of relics you can discover with a metal detector. That’s what makes relic hunting so exciting! You might find musket balls, swords, buttons from a Civil war uniform, or even colonial buckles from shoes or belts. Some of these items can turn out to be somewhat valuable, too. The best news is that historical relics can be found worldwide. They aren’t just confined to major battlefields either. Armies often traveled by foot and camped in remote areas. Therefore, you could technically find relics in any number of places. Start by researching historic areas in your city or state and then you can begin your searches there. Start Searching for Relics Today! 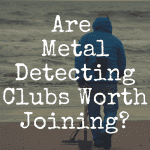 Whether you’re an experienced hunter or brand new to the world of metal detectors, this can be an exciting and lucrative hobby. You never know what you might find hiding just below the surface. 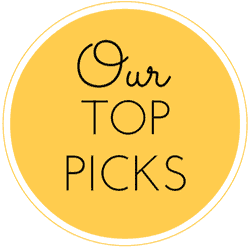 For more in-depth articles and reviews on metal detecting, be sure to return to our homepage!